So, do you decorate your abodes for Autumn and/or Halloween? 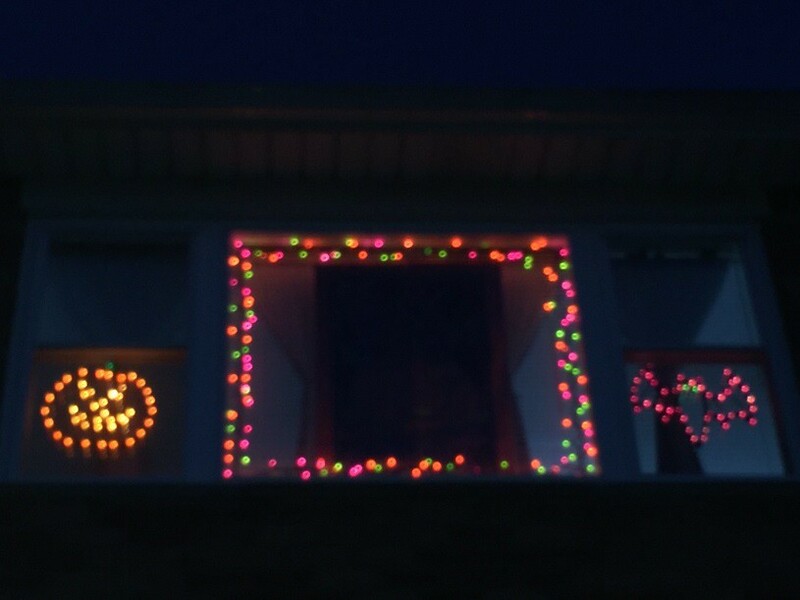 I don't decorate for Autumn, but I do put up lights for Halloween and Thanksgiving. Here are my windows during the daytime. 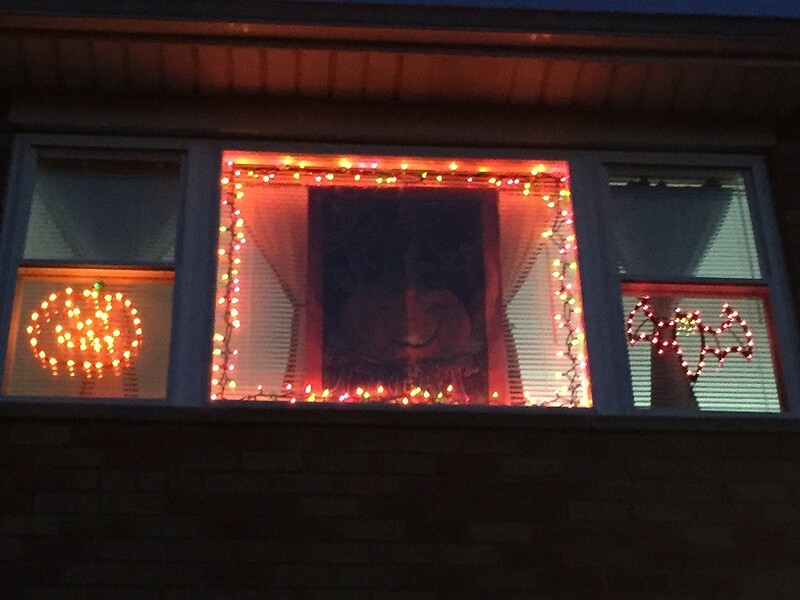 Center window has a "Trick or Treat" flag in the center. Around the flag are two strings of orange, green and purple lights. 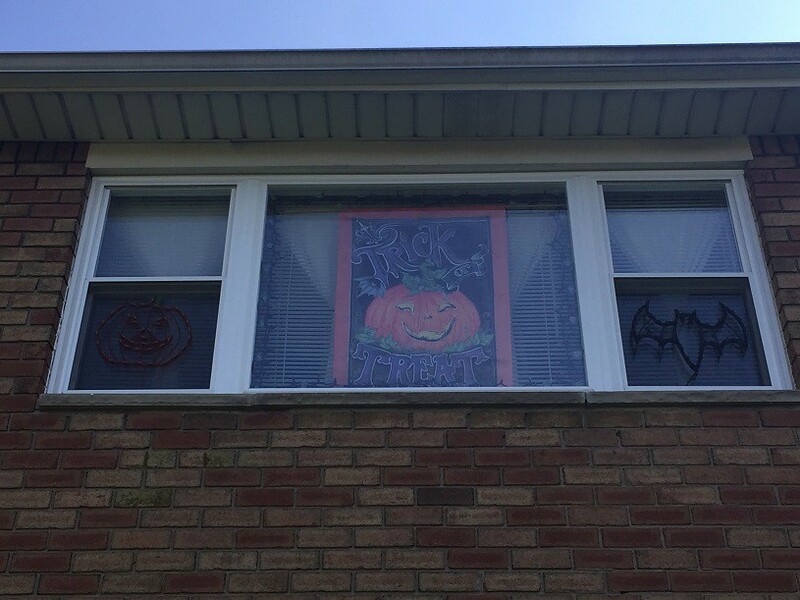 The left window has a Jack O' Lantern, and the right has a bat. The windows at night, with a flash. and finally, without a flash. Thank you, friend Chuck. We don't have enough Hallowe'en discussions around here! Happy Samhain, everyone! One of those "trick" bowls that makes noise and moves when you put your hand by it. The bucket of candy I won at the bowling league's Halloween party. It had 355 pieces of candy in it, and I guessed 343. The "scream" head is a cake I got at a local bakery. That's a cake? It's too perfect to eat! It is indeed a cake! It was not easy to cut! LOL. After some pieces were cut, it looked quite mangled!